Spark Curiosity in STEM with the Curiosity Cube Tour! 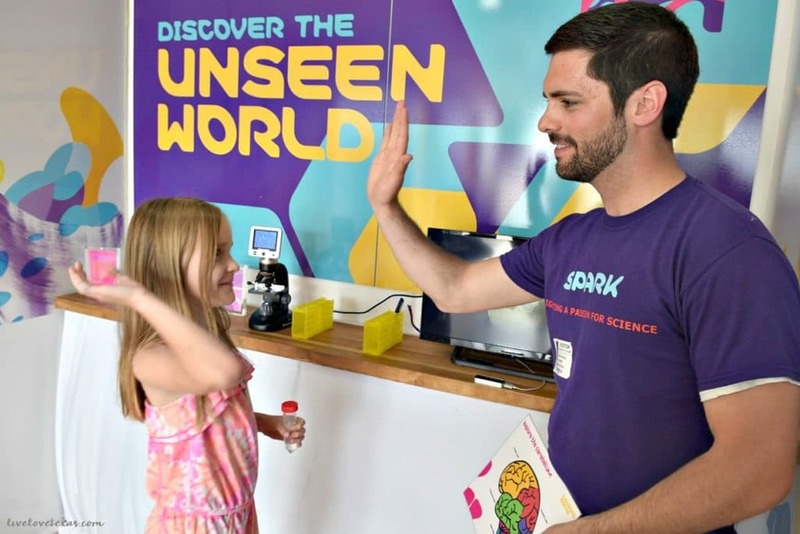 Home » Family » Spark Curiosity in STEM with the Curiosity Cube Tour! From childhood, some people go through life knowing what they’re destined to do. Others, may never have a specific dream in mind but flutter from one career to the next trying to find something that fits. And for others, something happens during their lifetime that sparks curiosity and leads them down a path of exploration towards their future career. 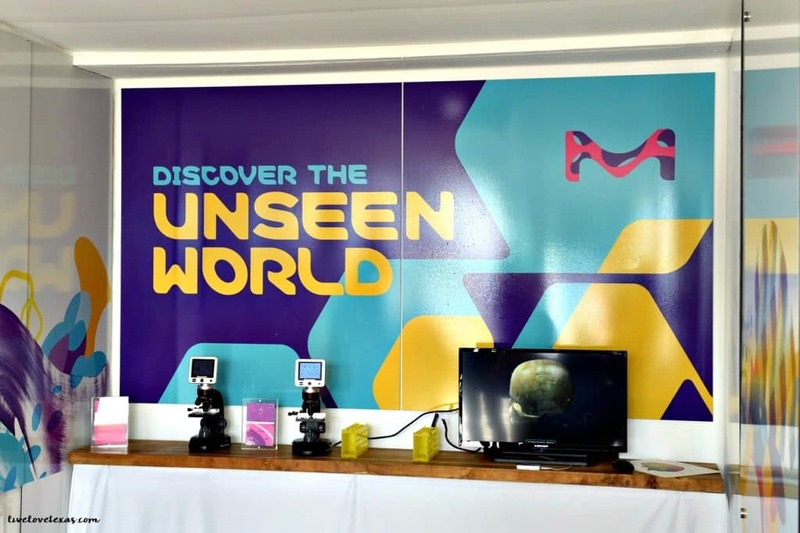 MilliporeSigma wants to help spark that curiosity in children about the wonders of science through the Curiosity Cube™. This 22×10-foot retrofitted shipping container is making its way around the country as a mobile science lab. It features fun and interactive science experiments to help spark an interest in STEM and a potential future in a science based career. Yesterday the girls and I had the unique opportunity to get in a little extra learning time after school and visit the Curiosity Cube™. These hands-on science experiments are designed with middle schoolers in mind, but my 2nd grader was fascinated with it all! The theme when we visited was Discover the Unseen World so all three stations in the lab were tied into this theme of the science that goes behind the things we’re unable to see with the naked eye. The first experiment was definitely the girls favorite as they were able to extract their own DNA and actually see it floating in a soapy water solution. While DNA is a little over Brady’s head at the moment (she made sure to tell our tour guide all about the different states of matter though), she really enjoyed getting to try these experiments on her own and learning about the importance DNA plays in determining traits such as hair color and eye color. The next experience was all about the cerebellum using a computer to manipulate a skull. The special program on this computer used technology similar to an Xbox Kinect to allow users to move the skull around and see different parts. The girls really enjoyed seeing all of the teeth fly out of the skull and examine each one! Using microscopes the girls were also able to view slides with brain matter on them and see the individual cells. 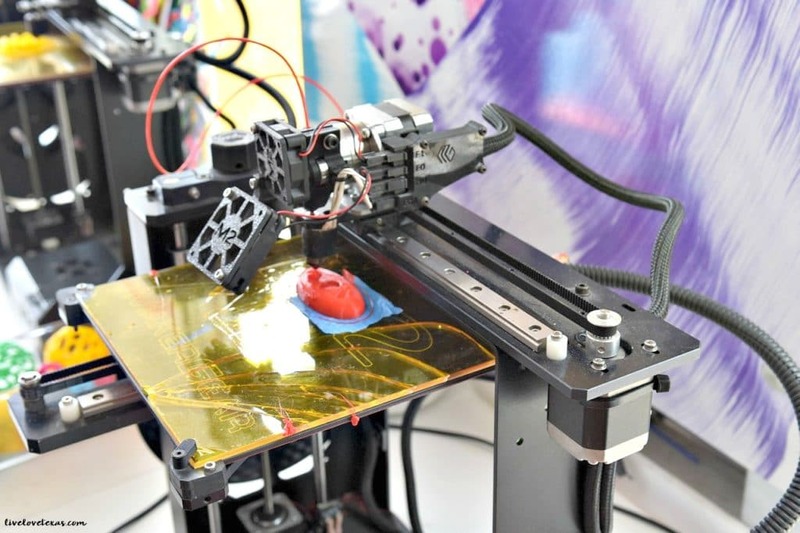 3D Printing was the last experience. Simulated cancer cells were created and kids were encouraged to find ways to capture and/or destroy these cells using pipe cleaner. According to our guide, some of the more creative approaches to this were creating a net of pipe cleaners to trap the cancer cell and crafting a stingray to attack the cancer cell. I love how young minds think! 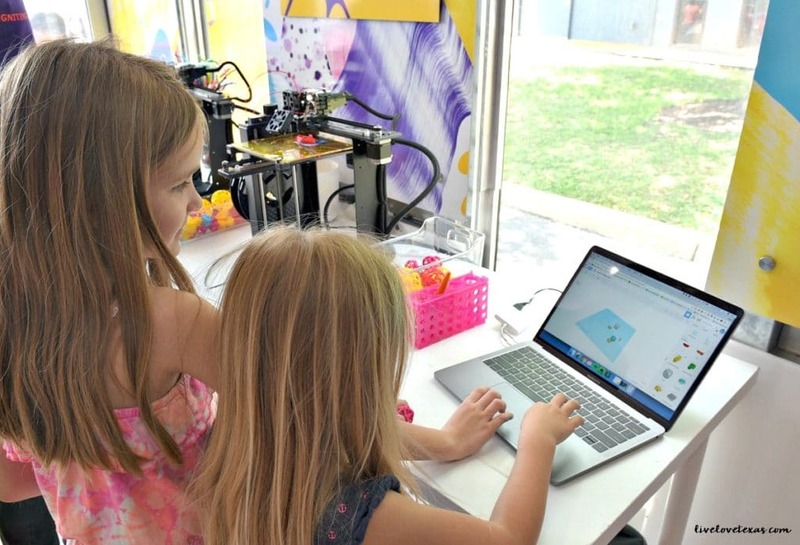 A bonus for the girls was when the employee running the station found out they were Minecraft fans, he was able to show how the 3D printer could even create their own tangible Minecraft worlds. The MilliporeSigma employees on site were extremely knowledgeable and many were scientists delivering these hands-on, interactive science lessons. They were able to explain the science behind each station in a way my girls were able to understand and encouraged them to ask questions to learn even more about what was taking place. Once kids start asking questions, sometimes they just want to learn more so for all of those curious questions, kids can add their questions to one of the doors for review and possible inspiration for future experiments! I’m definitely a hands-on learner and I can see that my girls are too. There’s something about actually touching and doing that reinforces a subject and helps you go deeper in your knowledge of it. Science is no exception. The concept for the Curiosity Cube™ was actually an extension of their highly successful Curiosity Labs™ program. 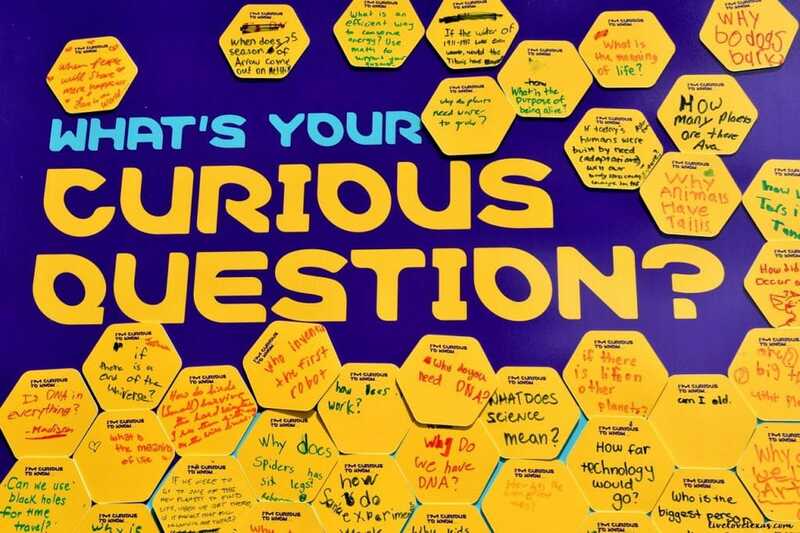 Curiosity Labs™ are interactive, hands-on science lessons and experiments delivered by MilliporeSigma employees at schools around the world—designed to inspire students to explore a career in STEM. This is especially effective in lower income communities where access to science materials such as these are more limited. 79% reported an increase in content knowledge. 80% demonstrated confidence in science by indicating they know “quite a bit” or “very much” about science. 81% stated that they enjoyed science. But instead of reaching just one class at a time, the Curiosity Cube™ can accommodate approximately 100 visitors an hour! That’s a lot of potential curiosity and interest in STEM being sparked! 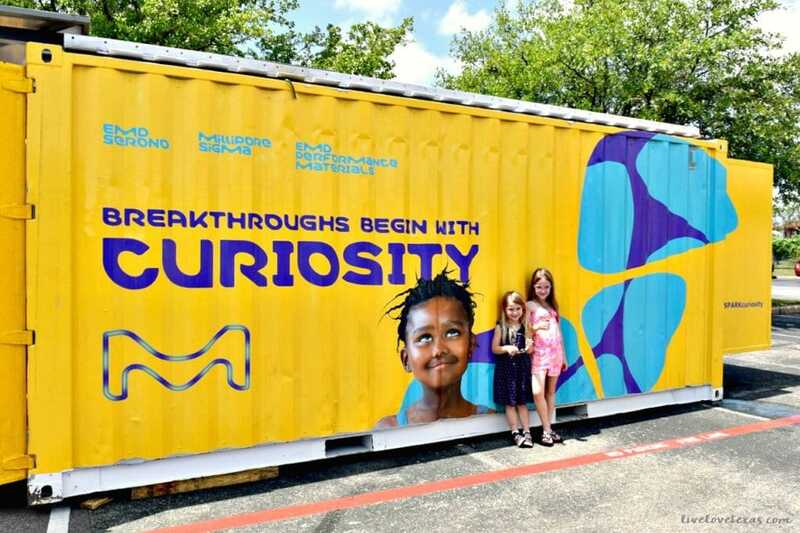 Learn more about the Curiosity Cube™ and #SPARKCuriosity in your kids by finding out when the tour will be heading your way by visiting the Curiosity Cube™ website, following them on Twitter, and liking them on Facebook.